Over the course of the past three years there have been little to no sports storylines as captivating as the inception, onset, present, and future of the current Miami Heat squad. We've seen them face ridiculous amounts of criticism as they went through ups and downs as a team. After a Game 7 victory over the Indiana Pacers in the 2013 Eastern Conference Finals, they face off with the San Antonio Spurs in the NBA Finals Thursday night for a shot at history. They've been hated on for their team's structure, coach Erik Spoelstra's skill level, whether or not they have real fans, and of course the never ending LeBron vs. MJ argument. We can't allow so much unnecessary hate go on without some shots fired back. 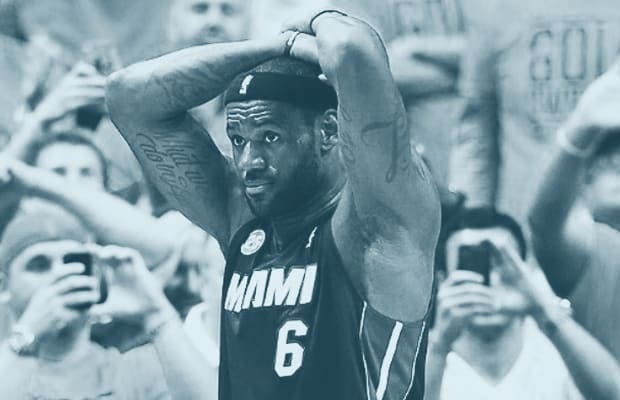 Here are The 10 Dumbest Reasons Why People Still Hate on the Miami Heat.